This story includes spoilers for The Americans. 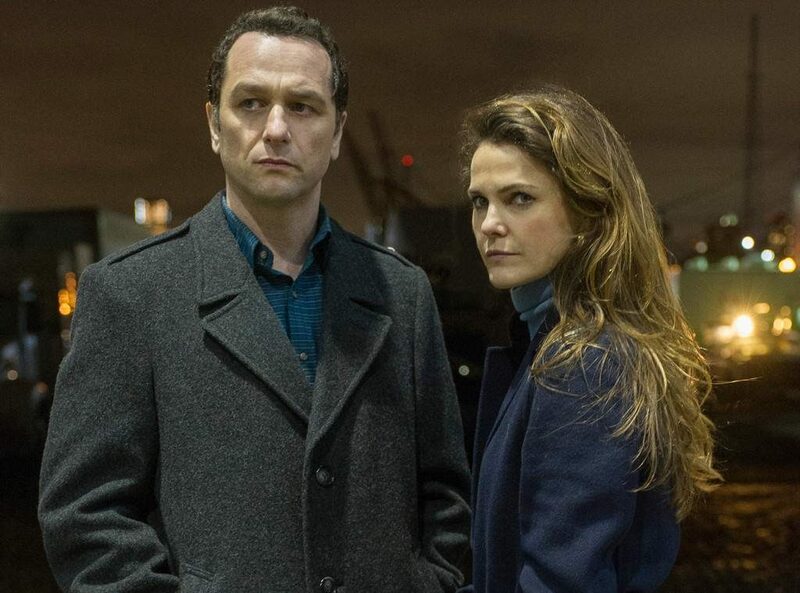 After six seasons over five years, FX’s The Americans came to an end on May 30, 2018. It’s an exciting, suspenseful, disturbing and though-provoking show — and the finale encapsulates many of the show’s signature characteristics in an episode that’s a half-hour longer than usual. Though the series enjoyed consistent critical acclaim, audiences are divided on its finale. It isn’t unusual for a show to leave a few loose ends, but The Americans finale leaves nearly every story thread untied. This disappointed many fans, myself included, who understandably sought closure. There was also a sense of justice not being served, given what we’ve seen the protagonists do over the course of the series. But after a night’s sleep and some thought on the matter, I believe the show ended the best way it could do. Without analyzing every element of the episode, I want to focus specifically on the ending, which sees Phillip and Elizabeth Jennings successfully escaping the United States and returning to the Soviet Union – and an uncertain future. The Americans is many things – a spy drama and a family drama and, most certainly, an historical drama. The show is set in the period January 1981 to December 1987. The events of the late Cold War years aren’t just the backdrop – they’re the story. What occurs around the characters is just as important as what occurs to them. And while I still believe the overall story ends with too many unanswered questions, it’s less problematic once you realize that, in fact, we all know the ultimate ending. In the final scene, Phillip and Elizabeth look over Moscow and contemplate their lives and what brought them to this moment. They think of what could’ve been had they not chosen espionage. They think of their children, who they’ve left behind in America and will probably never see again. They briefly contemplate the future. Elizabeth strikes an upbeat tone with the series’ last line of dialogue. “We’ll get used to it,” spoken in Russian. But the scene takes on a more tragic tone once you realize what truly lies in store for Phillip and Elizabeth, and the fact they’re oblivious to it. Four years from that final scene, which occurs around Christmas 1987, the Soviet Union will be no more, collapsing in a heap on Christmas 1991. In August of the same year, Mikhail Gorbachev, whom the Jennings spend much of season six trying to protect, survives a coup attempt by Communist Party hard-liners. But this doesn’t preserve the Soviet Union, and instead catalyzes its fall. Only a week later, the Communist Party’s rule comes to an end and, just prior to the country’s collapse, Gorbachev resigns the presidency. In a short period of time, everything Phillip and Elizabeth fought, killed and lied for will have been for naught. In the process, their life in America — which was always an illusion — falls apart, as do their relationships with their KGB superiors. They return to their dying home country without their children. We can imagine things may very well get worse for Phillip and Elizabeth. In real life, Russia underwent an extremely painful transition in the 1990s. Morphing the economy from a state-run planned system to a free market was always going to be difficult, but the unique characteristics of Russia at the time — and failed attempts at reform — plunged the country into a depression by the mid-’90s. Male life expectancy plunged and poverty skyrocketed. Economic and financial troubles culminated in the 1998 financial crisis, which led to fears of yet another political crisis. Inside the Kremlin, things didn’t go any better. The already-corrupt Marxist-Leninist socialist state was replaced with an equally-corrupt oligarchical-style government. The constitutional crisis of fall 1993 only ended after 10 days of fighting on the streets of Moscow. There were legitimate fears of a new Russian civil war. Then there was laundry list of post-Soviet conflicts, most notably the war in Chechnya from 1994 to 1996. The former Soviet military was an utter mess at the time. Poor leadership and training contributed to the death of at least several thousand Russian troops and the temporary loss of Chechnya. These are just a few of the many events that took place in 1990s Russia, until the country experienced a resurgence under current president Vladimir Putin starting in 1999, leading to its great-power status today. Much of this history may be beyond the scope of The Americans, but it does reveal that Phillip and Elizabeth aren’t in for a pleasant ride, to say nothing of a happy ending. In fact, it may be people like Phillip and Elizabeth who will suffer the most during such dreadful times. Having done little with their lives except spy, what could they possibly do upon their return to a society they no longer recognize — and which is on the verge of cataclysmic upheaval? This is a frightening prospect for those who have placed their well-being and their very lives into the hands of institutions such as the Communist Party and the KGB. And these institutions themselves are only a few years away from total collapse! For those who feel as though Phillip and Elizabeth were never held accountable for the many lives they destroyed, history may end up delivering the justice the FBI agent and neighbor Stan Beeman couldn’t deliver.